Who doesn't love Diamonds? In this class we will explore many ways to quilt Diamonds using pieced blocks or a Diamond grid that have been marked with a stencil. 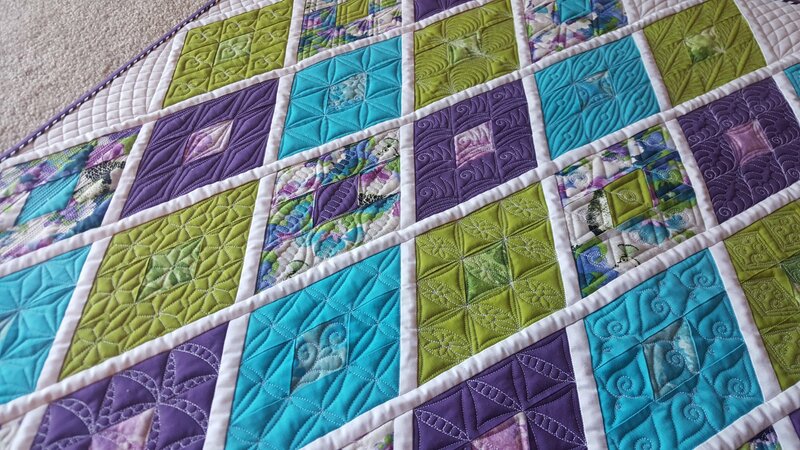 These designs can be quilted with one start and one stop. Adding gorgeous texture to your borders, sashing and blocks has never been more fun! Based on Dorie's two books Delectable Diamond Designs and Dazzling Diamond Designs.